Discover the history of this fascinating and unique part of the Birmingham. Find out how the jewellery trade developed, how people lived and worked here, how Birmingham got the world writing and get to know some characters associated with the area. This themed tour can be booked as a private walk, subject to a minimum number, e-mail us with your requirements, dates and we will see how we can accommodate your request. 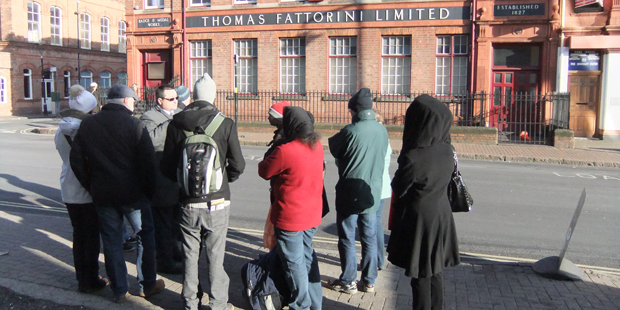 This tour generally starts in Victoria Square between the Council House and the Town Hall. However should there be a major event on in Victoria Square we will start close to the Central Library. This is a wheelchair accessible tour. Not all of our tours are Wheelchair accessible, those that are can be viewed by clicking here.